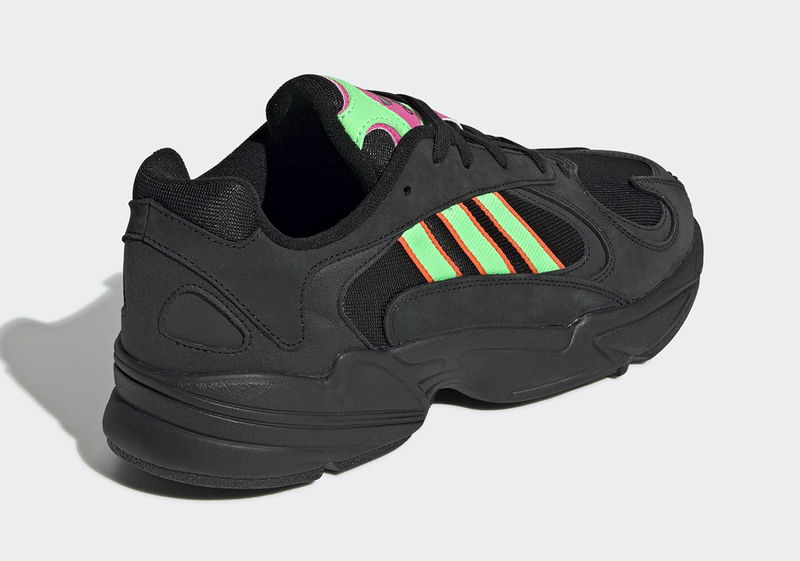 Thanks to its retro-inspired silhouette, the adidas Yung-1 is a shoe that can take on seemingly any color palette, and now the latest makeup to appear on the versatile lifestyle favorite combines a murky black base with bright neon accents. Although most of the shoe’s real estate is indeed occupied by dark black mesh, suede, and nubuck, the simple base gives the bold accents on the tongue and midfoot a chance to shine, and shine they certainly do. 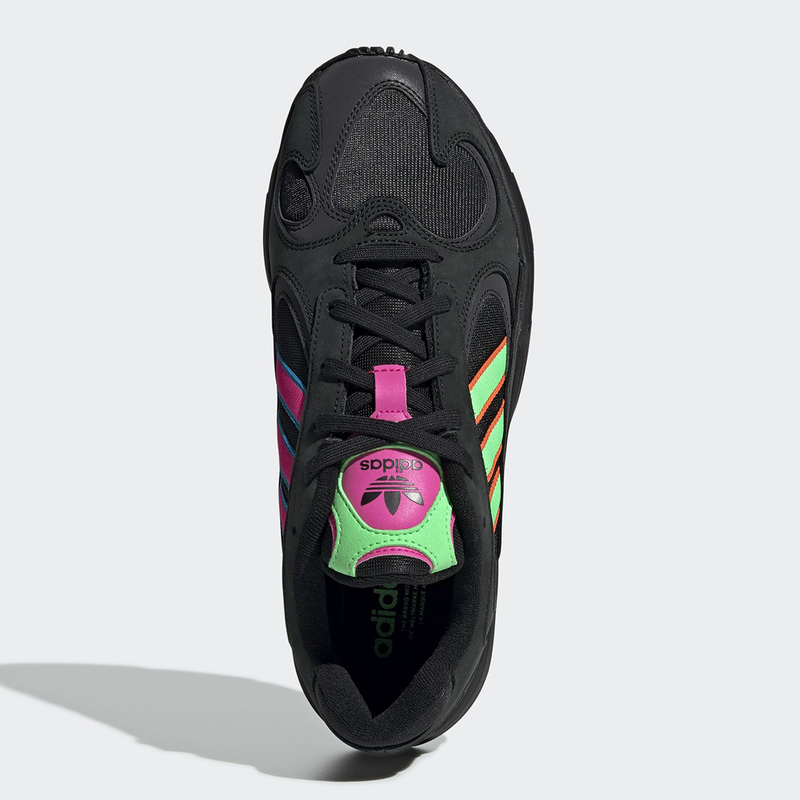 The Three Stripes graphic on the lateral and medial midfoot is split evenly between green with orange trim on the lateral side/pink with blue trim on the medial side, while the tongue combines green and fuscia to lock in the look. This vibrant mix of neon tones is said to be inspired by the bright lights of Tokyo at night. 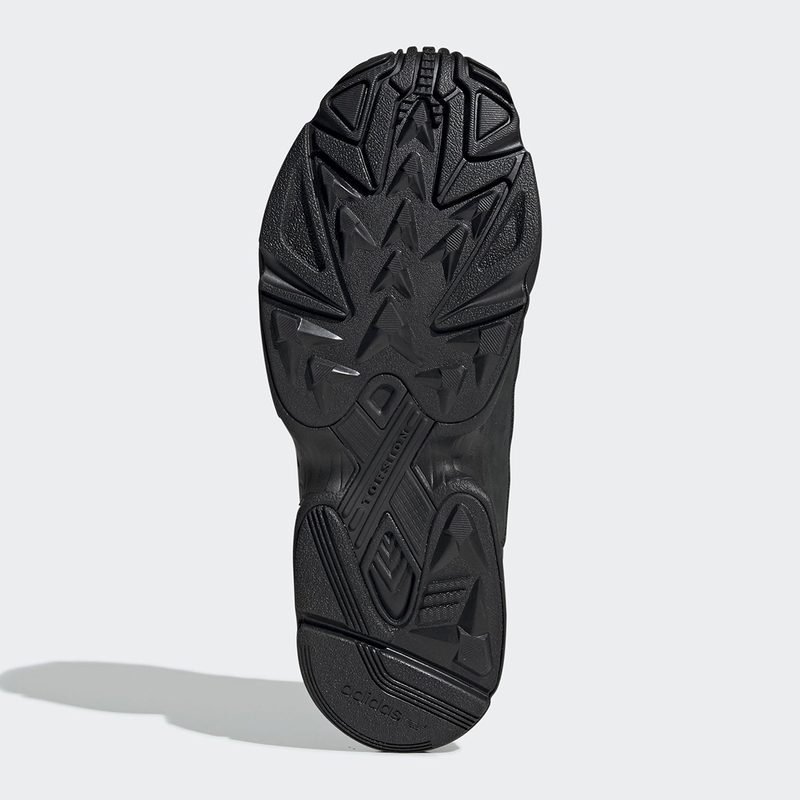 The look is then finalized by a black midsole with a shape that any adidas Originals fan is sure to be familiar with, as it’s also utilized on the adidas Falcon. Enjoy a full gallery of official images below, and expect an adidas.com release in the coming weeks for $120 USD. 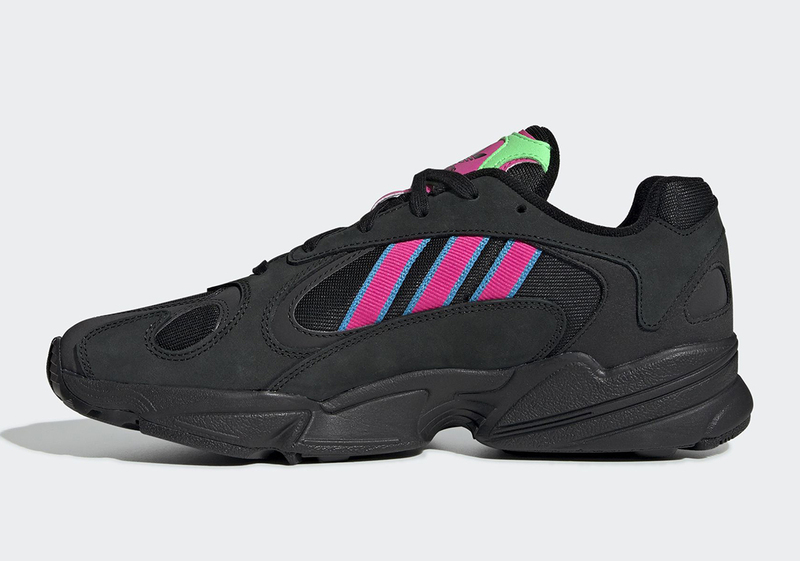 The post The adidas Yung-1 Pairs Neon Accents With A Triple Black Upper appeared first on Sneaker News.